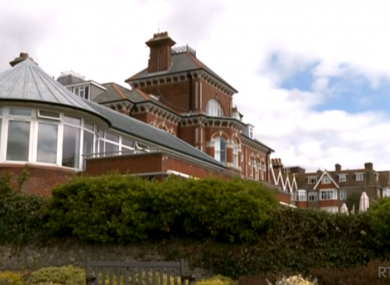 A Prime Time investigation revealed that standards of care were not met at a care home run by Rehab Group. AN INVESTIGATION INTO services provided at a Rehab Group facility in the United Kingdom has raised questions over standards of care here in Ireland. An RTÉ Prime Time programme revealed a litany of failings at the Chaseley Trust residential care home in East Sussex in England which mainly provides care to ex-servicemen. It was served an official warning notice by health watchdog the Care Quality Commission after unannounced inspections found it was failing to comply with regulations. These included breaches of professional boundaries, a lack of safeguards to protect residents from abuse or unsafe treatment, and large gaps in records kept at the home, documents seen by RTÉ revealed. This has raised concerns that similar failings could exist in Ireland. “In any circumstances where standards are not being met or where a service falls below par, of course that will cause alarm bells to ring,” Sinn Féin TD and member of the Public Accounts Committee Mary Lou McDonald told Prime Time. She added that although “we have no reason to believe that a similar scenario has played out here”, when the facility involved is under the management of and is run by Rehab, “of course it’s going to raise questions” about whether the same is happening in Ireland. However, Rehab said that the standard of care at Chaseley Trust had improved in recent years, and that it uses “independent external accreditation to support it’s own quality assurance processes in the services it provides in Ireland”. The Public Accounts Committee agreed last week to write again to former Rehab CEOs Angela Kerins and Frank Flannery seeking answers about their pay and pensions, amongst other issues. If they don’t cooperate with the Dáil panel’s wishes and hand over all required information, they will be compelled to appear before the Committee. Email “Failings at UK care home run by Rehab 'raises questions' for Ireland”. Feedback on “Failings at UK care home run by Rehab 'raises questions' for Ireland”.